Over the last ten years, the staggering growth of online shopping has heavily impacted the way consumers pay for their purchases. Unlike cash or checks, bank cards are an easier and safer payment alternative. Bank cards come in different types with their own benefits and drawbacks. Debit Cards are used the most because they don't require much for a customer to qualify as they are directly connected to your checking account. All checking accounts come with a debit banking card to be used for payment in transactions with merchants. Debit cards are also the main type of card for ATM withdrawals. The main drawback with debit cards is that in most cases they can be used as long as there is money in your bank account so it can be hard to enforce spending limits or budgets. Another type of banking card is the prepaid credit card. Prepaid credit cards are secured credit cards that work like regular credit cards but are backed by a prepaid amount of money. Prepaid credit cards are ideal for people without credit history or who have bad credit and are trying to rebuild a good credit history, but be careful, if you miss payments or overspend, you can end up damaging your credit instead of rebuilding it. Prepaid gift cards are purchased at a set amount. This is a great gift idea because it is disposable after the amount is spent. They make online shopping possible and other long distance shopping, like over the phone or in the mail. The only drawback about these bank cards is that there are inactivity fees. If you do not spend the money in a certain amount of time (typically one year) then money is deducted on an increment basis (usually every month). This type of prepaid card is often reloadable as well. Fleet cards are reward cards issued by specific retailers to give discounts on gas or other merchandise. These cards are beneficial when you continuously visit a local store, or if you use the same brand of gasoline over and over. The only drawback to fleet cards are that you have to spend a certain amount of money to add up enough points to get delayed reward. Also, you do not get reward points if you get merchandise from any other retailer. Credit cards are issued by a bank and allows you to spend the bank's money if you agree to pay them back on fixed dates (with interest if you don't pay back the full amount or with interests and penalties if you pay after the deadline). 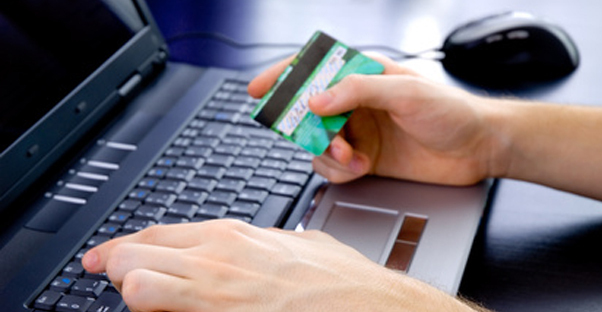 The benefits of credit cards are that you can buy in one time and pay in small increments later. The risk to this type of bank card is overspending, debt building and bankruptcy. Credit cards can help a person make large purchases or earn rewards for their daily purchases. When looking for a credit card you should choose one with features and rewards that fit you and your needs. Credit cards with low interest rates will also help a person pay off their purchases quickly without adding additional costs and fees. Before making a final decision be sure to read all of the fine print. Ultimately bank cards are an easy and safe method of payment. Some say that bank cardholders are likely to fall victims of fraud or identity theft, but over the last ten years financial institutions have been building efficient firewalls and security features to protect their customers.